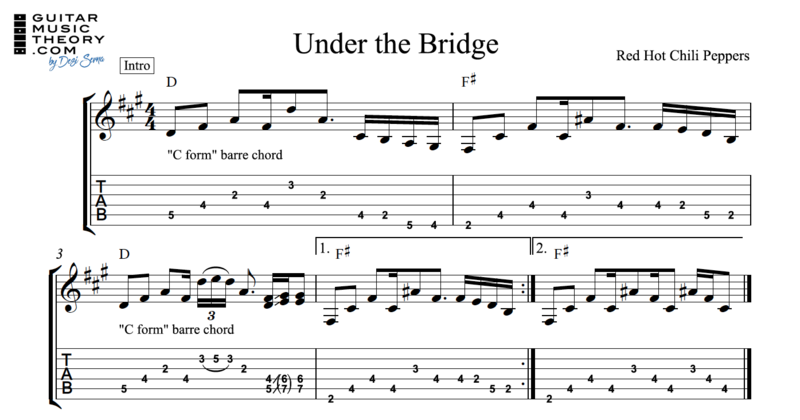 In these free video guitar lessons, you use the CAGED system to play chord shapes featured in the song “Under the Bridge” by Red Hot Chili Peppers. 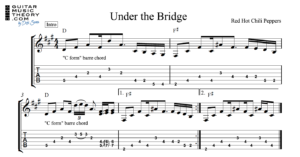 Follow along with free Under the Bridge guitar tab by choosing from the options below. 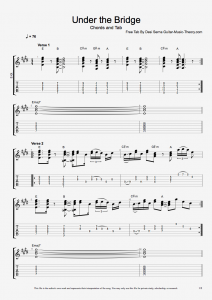 The first video and tab breaks down the song’s Introduction, and the second video and tab walks you through the rest of the song. 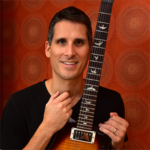 To learn more about guitar theory including guitar scales, chords, progressions, modes, and more, take a look at the Fretboard Theory video courses taught by Desi Serna available on this website.